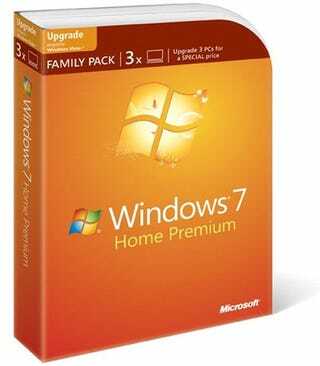 The Windows 7 Family Pack was a great offer, bundling three full Home Premium upgrades for $150. It was also a limited time deal, but without a set terminus. Well, now we have an expiration date: gift-buying season. When Microsoft first briefed me about the Family Pack back in July, I was told that it would be a limited-time offer "until supplies last" (sic) in the United States and "other select markets." I communicated Microsoft plans for the Family Pack in various articles over the next few months, noting that it was a temporary offer only. In other words, stocks have run dry, as Microsoft said they eventually would. Minor issue! Seeing as Windows 7 is software, any limit on the supply is totally self-enforced. It's possible that they set aside a certain number of licenses at launch, and they've just burned through them faster than planned. It's also possible that they planned this arbitrary supply excuse so they don't look like assholes when the cost of upgrading a household's worth of PCs to Windows 7 suddenly doubles right before Christmas.